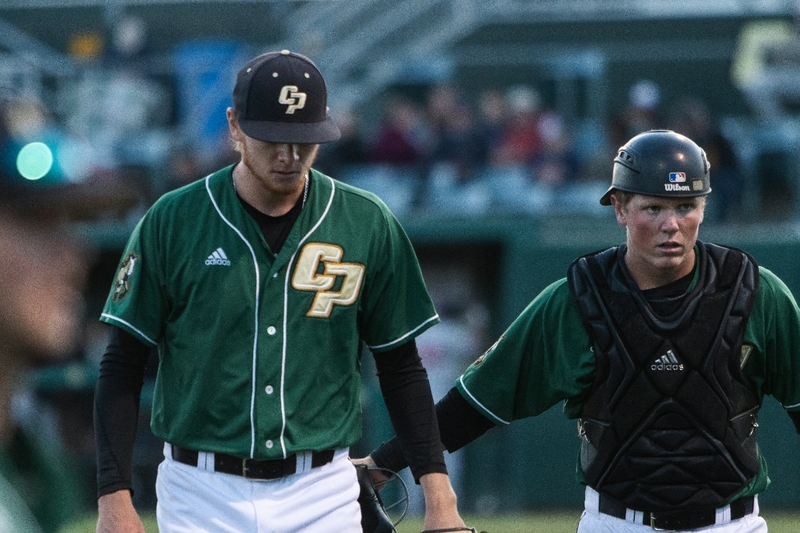 Cal Poly gave up 16 runs for the third time in four games in a 16-6 loss to Fresno State on April 9 inside Baggett Stadium. The Mustangs (13-17, 4-2 Big West) jumped out to a strong start as they scored four runs in the first two innings while holding the Bulldogs scoreless. Redshirt freshman and second baseman Connor Gurnik led the scoring with his first collegiate home run. 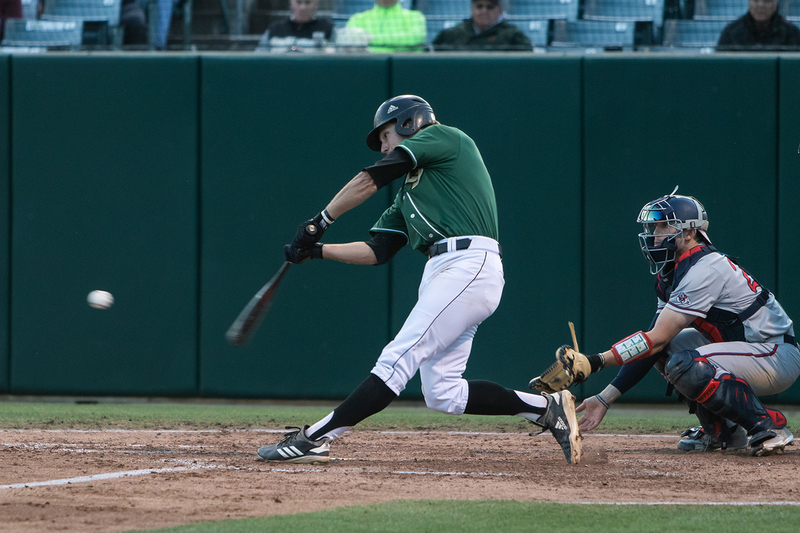 Cal Poly’s other three runs came when junior center fielder Bradlee Beesley hit an RBI double followed by an RBI single by sophomore first baseman Tate Samuelson. The Mustangs extended the lead to 4-0 in the second inning thanks to a sacrifice fly by sophomore right fielder Elijah Greene. The lead did not last long. The Bulldogs exploded for 10 runs in the third inning, squandering the Mustangs’ lead. After Fresno State scored four runs in the inning and consecutive wild pitches that led to a run, freshman starting pitcher Bryan Woo was replaced by sophomore relief pitcher Dylan Villalobos. “Pitching-wise we just fell apart,” head coach Larry Lee said. Villalobos, however, gave up six RBI’s himself and was eventually replaced by junior righthander Craig Colen with two outs still remaining. The long-lasting third inning came to an end when Colen grounded out the first batter he faced. The bleeding did not stop for the Mustangs. The Bulldogs put more runs on the board, scoring in four consecutive innings. 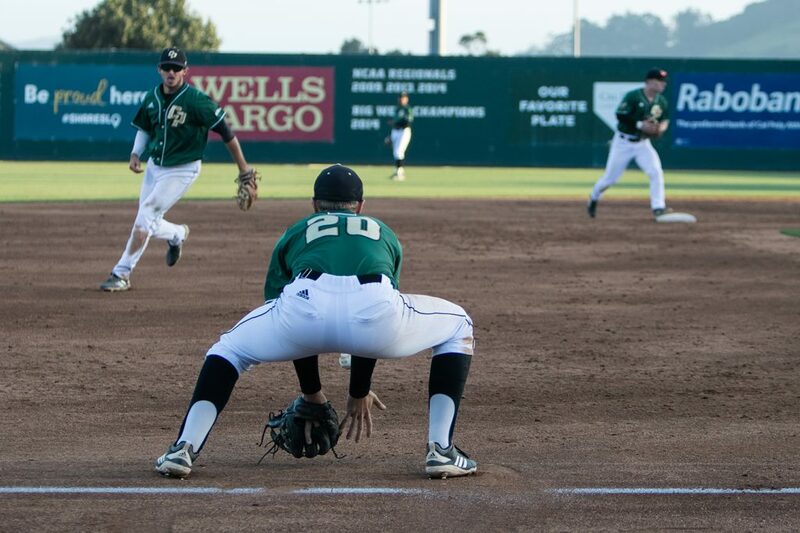 Cal Poly only managed to score two more runs after the third inning. Despite hitting the ball well with 14 total hits, Cal Poly could not capitalize with runners on base. “We had the opportunity to put up a few more [runs] and we did not take care of that,” Lee said. With the loss, Cal Poly falls to 13-17 on the season while the Bulldogs improved to 16-11. The Mustangs will travel to UC Davis (10-15, 3-3) to play a three-game series from April 12-14.